THOSE ROOFERS operate with quality in mind. Quality workmanship, quality materials, and quality service. Our Mission has always been to provide outstanding roofing services to the people of Cork. We do this by being experienced, knowledgeable, and by taking great pride in our work and always placing the customer first. Roofing is our business and with a combined experience of over 40 years, you can rest assured the job will be done right each and every time. 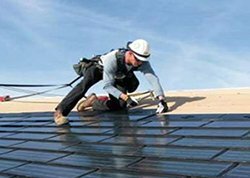 Those Roofers specialize in Residential, Commercial and Flat Roofs. We are also experts in Shingles, Cedar, Slate, Roof Repairs and Eavestrough Installation. 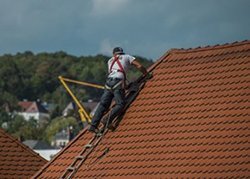 Those Roofers provides Roofing installations and repairs throughout Cork and Munster as well as many other places throughout Ireland. 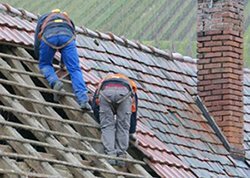 Our roofing services in Cork include roof tile repair, leaking and emergency roof repair, siding, solar energy, insullation and flat roof contractors. We also provide attic insulating,new roof Installations, gutter cleaning, chimney repairs, tiling and slating. Those Roofers provide many quality roofing materials for commercial roof repair and installation in Cork. Our services. Our experience gives us an extra edge when dealing with our commercial clients. Those Roofers always strive to surpass the expectations. For a free quote call us on (021) 419 3075. Our first rate customer service and competitive prices won’t be beaten in Cork. 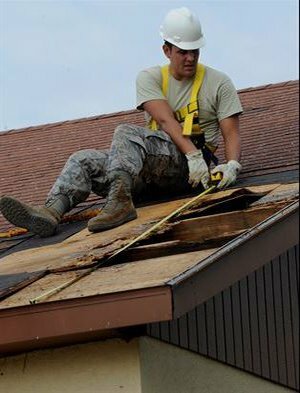 We provide emergency roofing repair day or night, right across the Cork. We are flat roofing contractors and specialise in repair, installation and replacement of all types of flat roofs in Cork. Those Roofers provide a gutter repairs and maintenance service to customers throughout Cork. We provide tile and slate repairs in a professionally and prompt manner. We have an excellent reputation for timeliness, reliability, and consistant attention to detail. We offer a full range of new roof installation options that can be tailored to suit your budget. When carrying out our projects we only use quality materials. We are also committed to ensuring that we complete each project that we undertake in a timely manner. As leading roofing contractors, all our roofers are highly qualified and experienced. We are not only cheaper but also offer the best services in this industry. From flat roof repairs Cork to other jobs, there is no job that is too big or complicated for us. We use materials that have a long life expectancy hence you don’t have to worry. In order to suit all your needs, we can source the best materials at a very competitive price. As compared to other companies, we offer a guarantee on all repairs and new roofs. We are proud of our work and are fully qualified and insured. Apart from covering all types of repair services, we also offer emergency roof repair Cork with a very short response time. We understand how important it is to reach you during the times of emergency. If you need a new roof or have a roof that needs to be redone, we will call and advise you of the best solution. Those Roofers Cork will tailor a package to your requirements. We are experts in reworking old slate roofs with salvaged blue Bangor slates, new Spanish Campo slate, fibre cement slate. We can also supply a full range of roof tiles in many styles and colours all copper/lead valleys and chimney. We fit and suppl velux windows as well as attic insulation. Our speciality is flat roofing and we only use top quality roofing felts on our flat roofing contracts. All our roofing projects come with a 10-year guarantee. If you contact us we will be happy to discuss any aspect of our service with you.